Now Open! Get the first two months free! 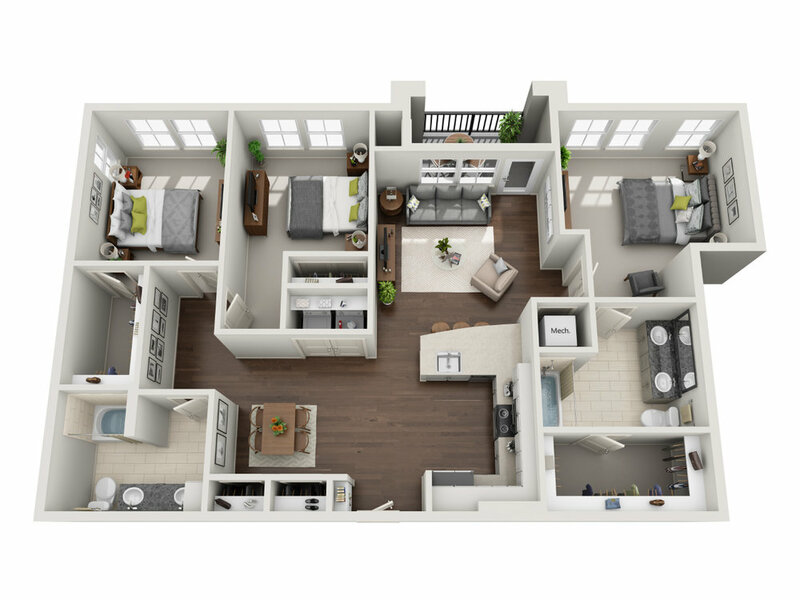 Spacious open floor plans provide ample room to create the home of your dreams. Both the 1,175-square-foot two-bedroom, two-bathroom units and the 1565-square-foot three-bedroom, two-bathroom residences offer substantial room for entertaining, work-from-home, and daily living activities in a comfortable setting. 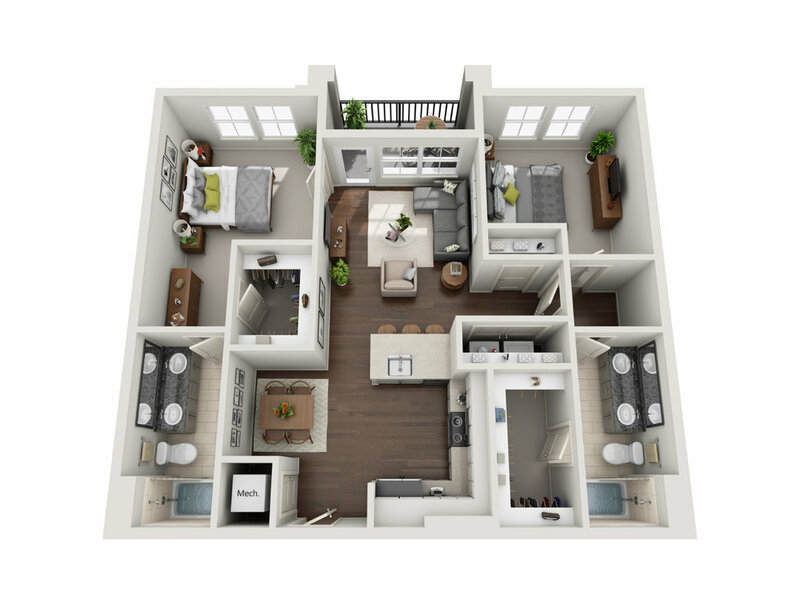 This spacious 1,175-square-foot two-bedroom, two-bathroom residence provides ample room for both singles and families. With an additional bedroom, the 1,565-square-foot three-bedroom, two-bathroom residence allows for the use of a home office and provides additional room overall.